Cultivating Hope: Can the Income of Farmers Double in the Next Five Years? Can the Income of Farmers Double in the Next Five Years? Decoding the budget’s good intent of boosting the agricultural sector raises questions like are these goals achievable and how? Take for example the government's ambition to double the income of the farmers in the next five years. “We need to think beyond food security and give our farmers a sense of income security. The government will, therefore, reorient its interventions to double the income of the farmers by 2022,” Finance Minister Arun Jaitley said in his Budget 2016 speech in Parliament. 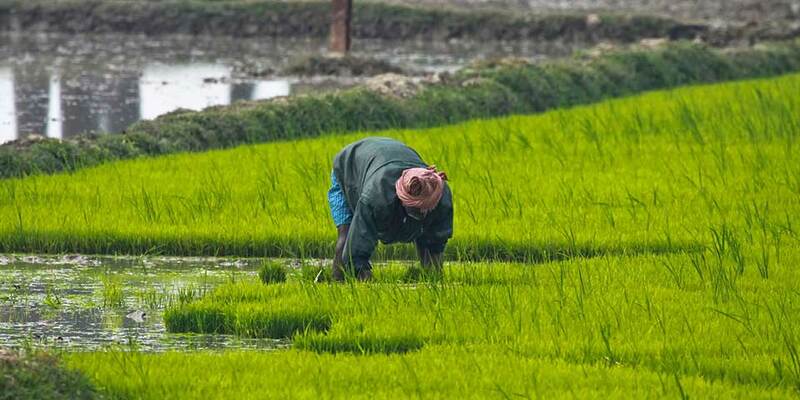 Agriculture was one of the nine pillars that Jaitley identified as focus areas for this year’s budget. The intent seems right, given the state of India’s agriculture and the plight of its farmers. Growth in the agriculture sector in 2015-16 continued to be lower than the average of the last decade, mainly on account of it being the second successive year of lower-than-normal monsoon rains, the Economic Survey 2016-17 reveals. It further points out that the average income of a farmer in 17 states across the nation is Rs. 20,000. Accordingly, the average monthly income can be worked out to be Rs. 1,666. The number of farmer suicides make the scenario even more depressing. A total of 5,650 farmers have committed suicides during 2014 accounting for 4.3% of total suicides victims in the country, according to the National Crime Records Bureau. In this light, the budget did try to put the focus back on agriculture and boosting rural economy. The allocation to the agriculture ministry is up to Rs. 35,983 crores from the previous year’s Rs. 15,809 crores. Additionally, the government aims at setting up 2,000 model retail outlets of fertiliser companies that will be provided soil and seed testing facilities over the next three years. Decoding the budget’s good intent raises questions like are these goals achievable and how? Take for example the government’s ambition to double the income of the farmers in the next five years. Jaitley did not specify whether he meant money incomes or real incomes. 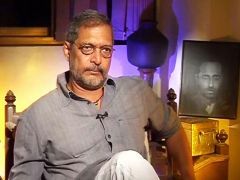 “If this ambition of the government was to be realised, the average growth rate of the economy would have to be 15% a year,” Dorab Sopariwala, Editorial Adviser at NDTV, points out. “As far as real income – income that is adjusted for inflation – is concerned, nowhere in the world has an economy grown at 15% a year”, he adds. The highest five-year growth rate India has ever achieved comes to about 8%. 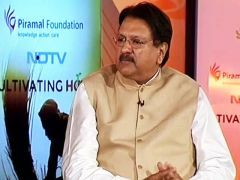 Clarifying that the finance minister meant real income in his budget speech, the Bharatiya Janata Party leader and Rajya Sabha MP Chandan Mitra argues that the government is determined to make sure the farmers earn double of what they do now in five years. “Real incomes of farmers are falling, and we need to arrest this fall. The 100% FDI in the sector” through FIPB route in marketing of food products produced and manufactured in India, “and the new crop insurance scheme, namely, Prime Minister Fasal Bima Yojana, will ensure that farmers can take risks”, he adds. For effective implementation of the new crop insurance scheme, the government has provided a sum of Rs. 5,500 crore in the budget. “Also, if the demand grows, so will the income of farmers”, Mitra says. While the crop insurance scheme hopes to improve the safety net for farmers already facing numerous pressures ranging from crop failures to climate change, the government’s focus on irrigation hopes to reduce farmers dependence on the vagaries of rains. 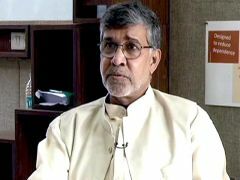 The government has allocated Rs. 17,000 crores to irrigate 28.5 lakh hectares of land under the Pradhan Mantri Krishi Sinchai Yojana. Questions have already been raised over whether this amount is adequate. The Finance Minister also announced the creation of a long-term Irrigation Fund in NABARD, with an initial corpus of about Rs 20,000 crore. “It is very difficult for this money to be translated into this sort of irrigation potential. The numbers being mentioned in the budget cannot be achieved with the amount of money mentioned”, says Patel. Additionally irrigation is a state subject, and the Centre doesn’t have much of an involvement in it. “The capacity of the state to dish out funds for irrigation, the bottlenecks, and many other things have not been addressed. Additionally, what about the problems like land acquisition and the environment?”, Patel asks. Special attention has been given in the budget to ensure adequate flow of credit to the farmers. Against the target of Rs. 8.5 lakh crore in 2015-16, the target for agricultural credit in 2016-17 will be at an all-time high of Rs. 9 lakh crore. To reduce the burden of loan repayment on farmers, a provision of Rs. 15,000 crore has also been made towards interest subvention. But can all of this help farmers if the determination of Minimum Support Price is not reformed? “We’re providing resources to farmers through irrigation, rural roads and the ability to market their produce. All these will help the farmers double their incomes. As far as Minimum Support Price is concerned, we will take a hard look at it and make adjustment if required”, says Jayant Sinha, Minister of State for Finance. The Finance Minister announced a three-pronged strategy to ensure farmers received the minimum support price set by the Centre. This includes encouraging states to take up decentralised procurement, starting an online procurement system through the Food Corporation of India, and making effective arrangements for procurement of pulses. Doubling the income of farmers in the next five years is absolutely “unimaginable”, says Praful Patel, Nationalist Congress Party (NCP) leader and Rajya Sabha MP, adding that mathematically the numbers invested don’t add up to the growth numbers expected. The government plans to raise money by making us pay for the benefit of farmers by introducing 0.5% ‘Krishi Vikas Cess’ on all services to fund its ambitious programme of rural welfare. The budget’s success will depend on how the government translates its good intent into reality. Skepticism and questions on implementation apart, India’s farmers need all the help and policy intervention to survive one of the worst crisis facing the country’s agriculture sector. With inflation running super high, the doubling of farmers income in 5 years will make their economic condition no better than today. Provide meaningful help to the farmers instead of throwing out meaningless economic numbers. Leave out large farmers who are having income above few lacs now. You will see many farmers who are small and medium without access to technology, without good market access. Now with good rural roads and some irrigation these people will have better income.